I love this dishcloth… it’s so nifty. It’s got a cool little scrubbie in the corner for pots and pans and other items that need scrubbing. It’s not only handy, but I think it would last longer as well. 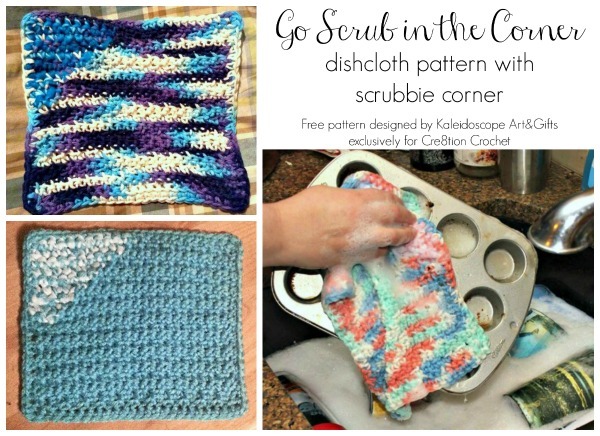 You will need a worsted weight yarn, tulle and a 6mm crochet hook to complete this dishcloth & scrubbie.